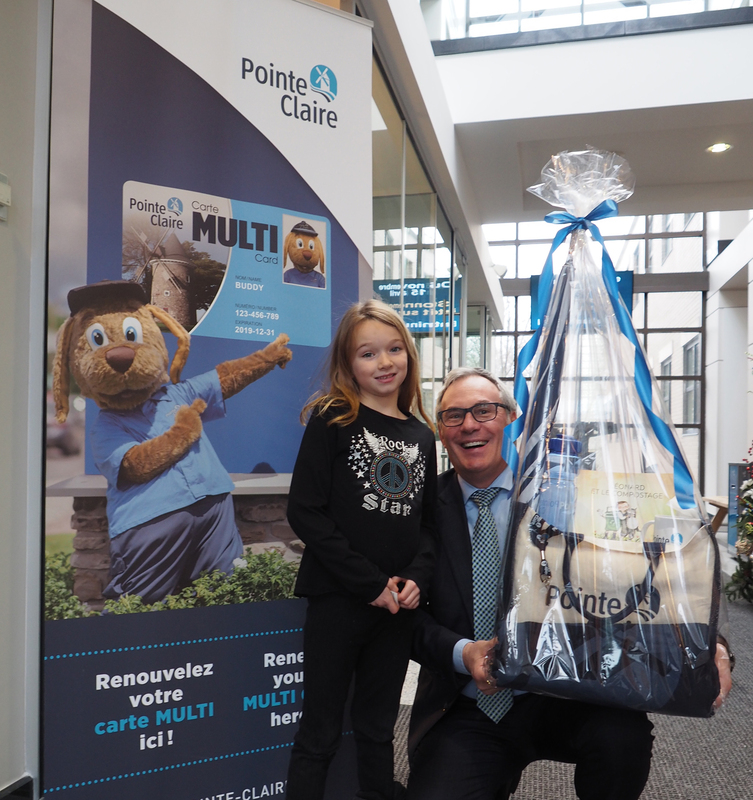 The mayor of the City of Pointe-Claire, John Belvedere, wishes to congratulate the many residents renewed their MULTI Card. 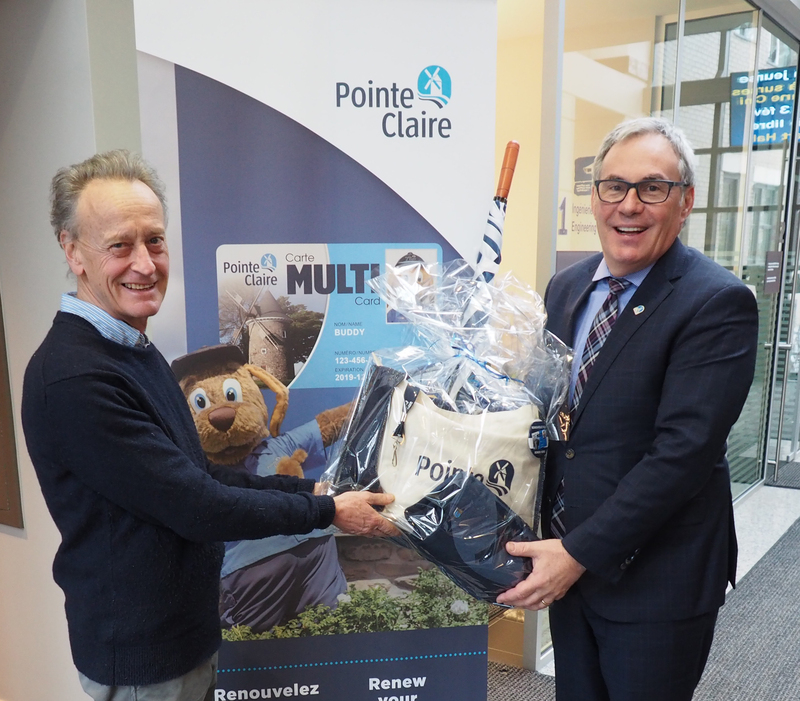 “The MULTI Card is a simple, quick, and efficient tool that allows our residents to access services provided by the City and take advantage of the many benefits it offers,” stated Mayor John Belvedere. Free and valid for two years, the MULTI Card is a proof of residence and is required to register and participate in all activities offered by the City. At the Library: Loan up to 50 documents, reserve and renew documents online. At the Stewart Hall Cultural Centre: Obtain priority passes for workshops and events, and access to free trial classes. At the Aquatic Centre: Enjoy free recreational swimming for everyone on Saturdays and Sundays, and every day for seniors at specific times. At the Bob-Birnie Arena: Enjoy free public skating during reserved times. At Public Works: Access to the Ecocentre, distribution of trees, compost, and kitchen cones, and special rates for household compost bins and rain barrels. At Inspection – Public Security: Obtain boat launching permits. A draw took place every month in 2018 among all MULTI Cards that were renewed between October 2017 and December 2018. The lucky winners took home a gift. 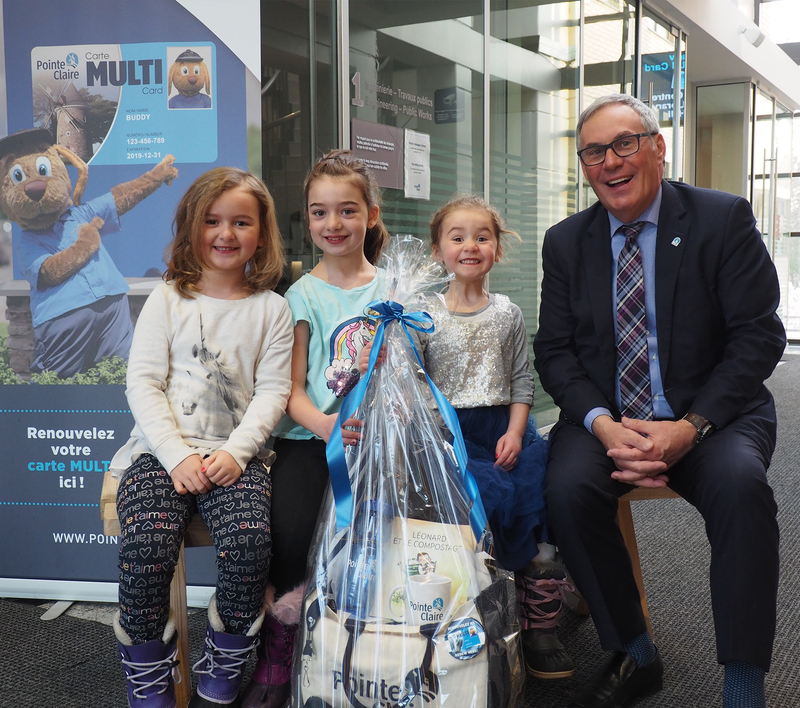 Each prize included practical and fun items in the City’s colours: a bag, an umbrella, a beach towel, a mug, a reusable water bottle, a lanyard, a pin, temporary tattoos, and a copy of the children’s book Leonard’s Composting Adventures. “The MULTI Card allows the City to provide residents with the best services. We invite everyone who has not already done so to get their MULTI Card and have easy access to the many services offered by the City,” said Mayor Belvedere in conclusion. Residents can obtain or renew their MULTI Card at the Central Library, the Aquatic Centre, or City Hall. Mayor John Belvedere gives Mr. Peter Shaw his prize. 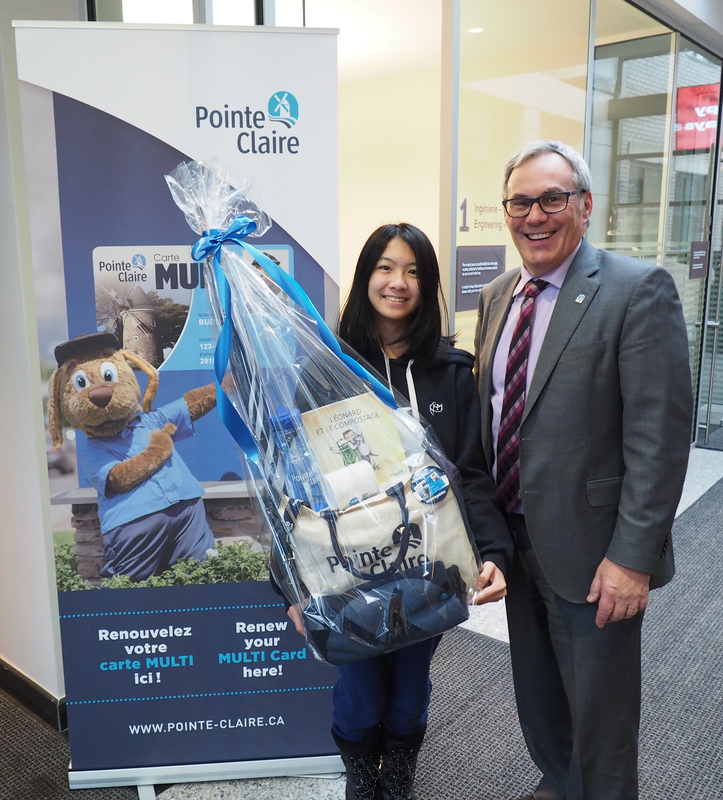 Ms. Ashley Li receives her prize from Mayor John Belvedere. 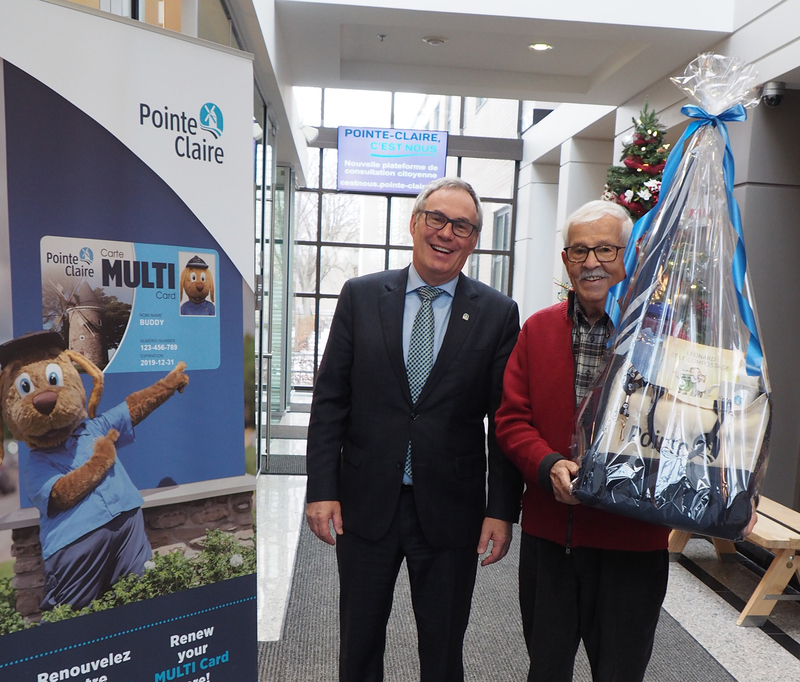 Mayor John Belvedere with Mr. Albert Montpetit and his prize.